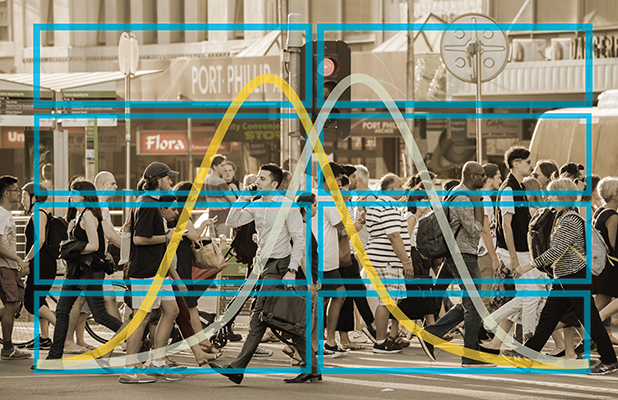 Our research advances the full spectrum of population-health science. The DBEI distinctively brings together expertise in biostatistics, epidemiology and informatics, to advance population-health science. A look at our content-packed DBEI & CCEB 2019 Research Day: View videos and more! Read about the cross-disciplinary work of our Distinguished Faculty members. Susan Ellenberg, PhD, has been honored with the 2019 Florence Nightingale David Award. Sponsored jointly by the Committee of Presidents of Statistical Societies and the Caucus for Women in Statistics, the award is granted biennially to a female statistician who serves as a role model to other women via her contributions to the profession. Read more. More than one in seven in the US have chronic kidney disease, and as nation’s largest clinical CKD lab, the multi-decade Chronic Renal Insufficiency Cohort heads the battle against this population-health threat. The DBEI’s Harold I. Feldman, MD, MSCE (pictured) and J. Richard Landis, PhD, lead work funded with a new $17.5M from NIH. Read more. The mad complexity of healthcare calls for a flexible statistical method. Read more. Karen Glanz, Phd, MPH, and Holly Fernandez Lynch, JD, MBE, argue that the research ethics community must act responsibly when it comes to deceptive experiments like the 1960s study featured in the film Three Identical Strangers. Artificial intelligence and humans have a very beneficial partnership, write Jason Moore, PhD, FACMI, and Moshe Sipper, PhD. That partnership is beginning to blossom in the field of medicine—but there are limits, say the authors. M. Kit Delgado, MD, MSCE, is studying how to “gamify”—or create incentives for—safety steps, so that it becomes “a much more engaging experience and more fun” to stay off the phone while driving. Read about biostatistics, epidemiology and informatics opportunities.